Snowmobile gear changes, but not always for the better. We used to attempt to stay on the front lines of changing technology, but too frequently we got freezer-burned for our efforts. When technology called for lightweight moon boots, we had them. Yes, they were light in overall weight, but they didn’t hold up to a season of snowmobiling any way as well as a basic pair of felt-lined Sorel Caribou boots, which are still around today. If they lasted at all, you might find a pair of moon boots on eBay or at vintage swap meets. Light, yes. Rugged, no. Plus, they actually tended to make your feet sweat; not good for cold weather riding. As an outdoors person, we were tuned into fabric coatings like Gore-Tex long before it became a staple of snowmobile gear. The same for 3M Thinsulate, which was created about a mile from our US office. Lightweight, rugged, dependable gear scores huge with people who hunt, fish, camp, canoe or snowmobile. But too many of the claims made by some marketers are simply hype. Then again, styles change over time. A number of years ago we had custom-made leather snowmobile suits that we used for racing and testing sleds. The suits were made by one of the leading manufacturers of motorcycle leathers. At the time the company saw snowmobiling as a potential added revenue stream and hoped that snowmobilers would pay an extreme premium for their racing-style leather designs. The suits were of excellent quality and well suited for racing. But, despite the cool factor, they were extremely heavy and expensive when compared to a top of the line fabric snowmobile suit. Our first serious exposure to lightweight warmth came when Kawasaki provided us with snowmobile gear. These jackets and bibs were exceptionally light and actually surprisingly warm as Kawasaki was one of the first major snowmobile companies to utilize the then new 3M Thinsulate products. 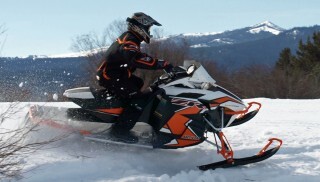 In this modern era every major snowmobile apparel manufacturer either uses Thinsulate or a similar material. The same for Gore-Tex and windproof coating and layering materials. 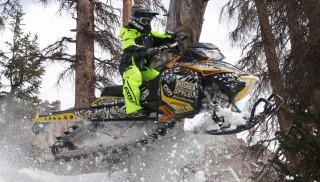 It’s hard to imagine the strides in warmth, weight, overall quality and style snowmobile apparel has made. In the earliest days of the sport, Polaris pioneer and founder David Johnson was delighted to win a heavy fur coat that was the first prize at a 1956 race that he won at The Pas, Manitoba. You can only imagine how pleased the nonagenarian snowmobiling pioneer is to have warmer and lighter weight modern snow gear for his cold rides in Roseau, Minn. Even into the 1960s and beyond, many early snowmobilers wore military surplus bunny boots, those oddly shaped, bulbous-nosed white extreme cold weather boots designed for the military for use during the Korean Conflict. It could be a hassle getting those boots to fit into the foot areas of a vintage sled. This is all simply preamble to our reflections on some new gear we’ve tested and approved. We have tried a number of things in recent months, but these somewhat mundane items made a positive impression on our riding-style. After giving them a try on our latest snowmobiling adventures, we give them a “tested and approved” rating. FXR’s X-Cross BOA boot ‘s innovative BOA closure system is its major selling point, but the boot’s overall quality, warmth and pricing makes it a great value. At first glance the boot struck me as a bit big and cumbersome. That was before I slipped a stockinged foot into the boot’s inviting fur-lined top. 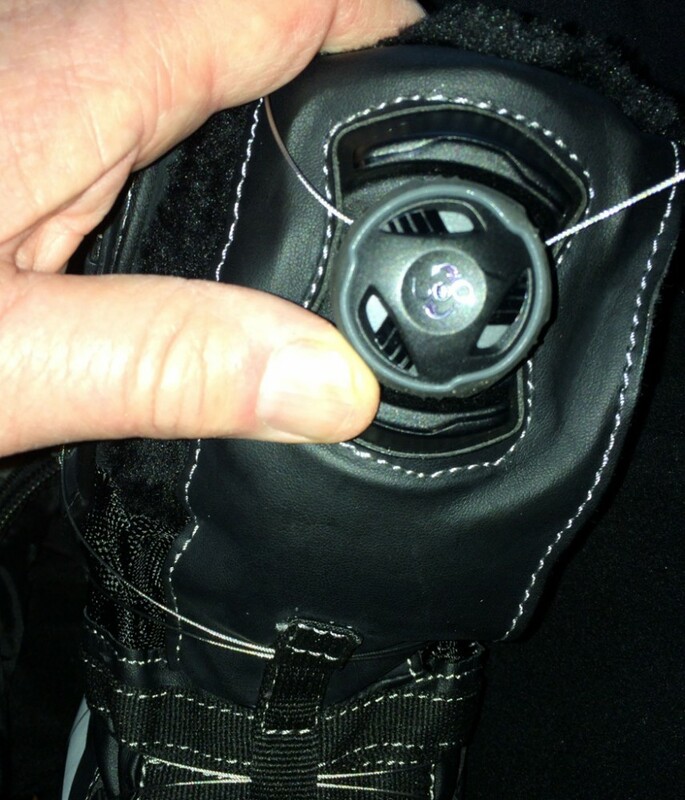 My feet fit easily into the boots thanks to the BOA M3 reel fastener system. Why didn’t this get invented for snowmobiling 20 years ago? And, best of all, quick and easy on and off boot operation. A simple twist to the right tightens your BOA boot leaving no uncomfortable pressure points. To loosen, simply pull the knob outward. It’s truly that easy. Granted there are more than 25 million BOA-powered products worldwide. 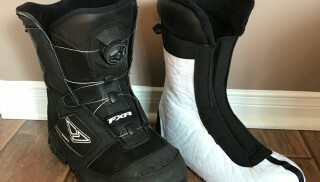 The FXR X-Cross boot isn’t the first such snowmobile boot to feature the award-winning, patented BOA Closure System, but you can bet it has a great deal to do with making this FXR’s best selling boot. Admittedly we can be downright stubborn when it comes to changing up our sled gear. When we find gear that works for us, we stay with it. Heck we were Sorel felt lined boot advocates right until a motorcycle accident caused such severe damage to our right foot and ankle that it was surgically rebuilt with more metal than bone and required a more supportive boot design. The FXR X-Cross BOA boot replaces the Columbia electric gridded boots we’ve used up to getting our new favorite. We’ve found the BOA closure system offers exceptional fitment that we could never achieve with any boot we’ve ever worn before. The FXR boot proved to be extremely comfortable overall, but we especially liked the high traction outsole design and we can only applaud the toe kick feature that really does come in handy for breaking up snow or ice build up on the runningboards. The FXR X-Cross BOA boot features a very aggressive tread and a nice-to-have kicker toe to help break up snow and ice that might form on the runningboards. 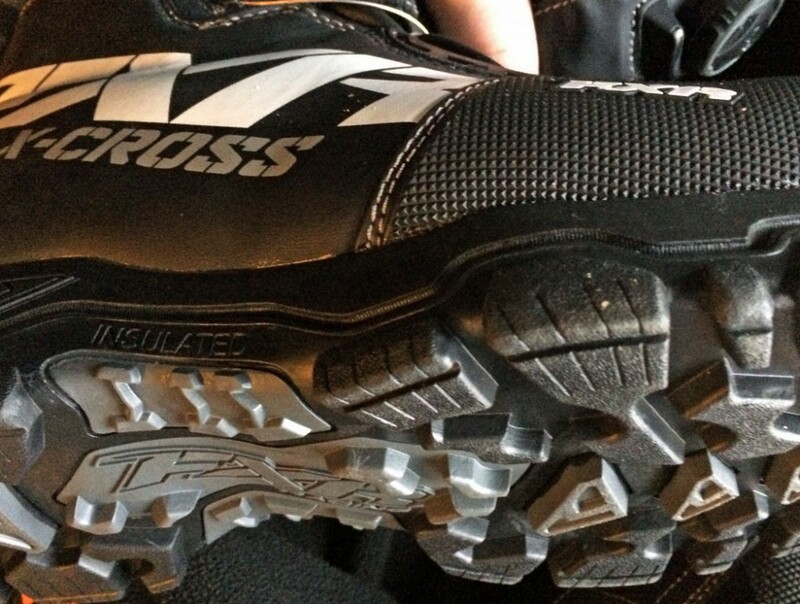 Interestingly, the X-Cross BOA Boot is not the most expensive boot in the FXR line. 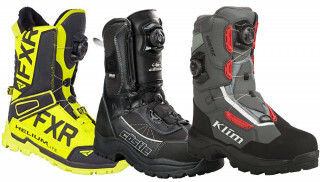 In fact, at a suggested MSRP of US$259.99 it retails for US$210 less than the top of the line FXR Tactic BOA Boot. Its 600-gram insulation equivalent provides consistent warmth with the fur lining adding a comfort factor not found in traditional snow boots. 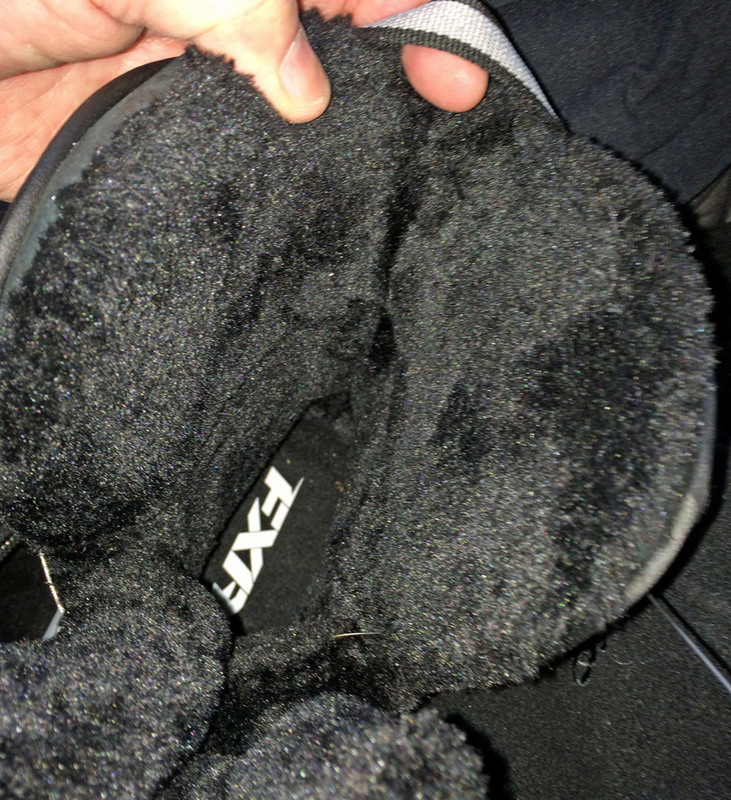 The X-Cross has a standard a fur-like top and tongue lining that provide a plush feel while effectively preventing snow from getting inside the boot. 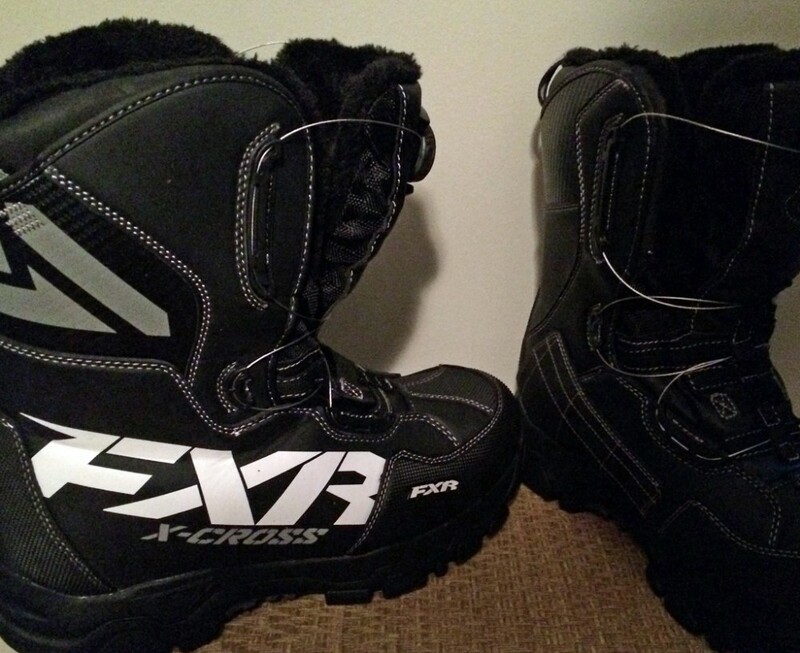 Yes, we are sold on the FXR X-Cross BOA boot. The BOA closure system is the major selling point, but the boot’s overall quality, warmth and construction makes it a great value. We have noticed that some online retailers of this FXR boot have offered special savings, so you may want to shop around a bit, that’s if you can even find this boot as FXR lists it as being “sold out” in most popular sizes. 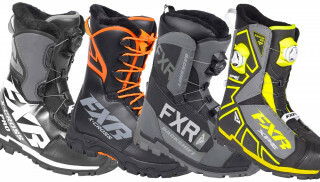 For more information about the FXR BOA boots, visit www.fxrracing.com. 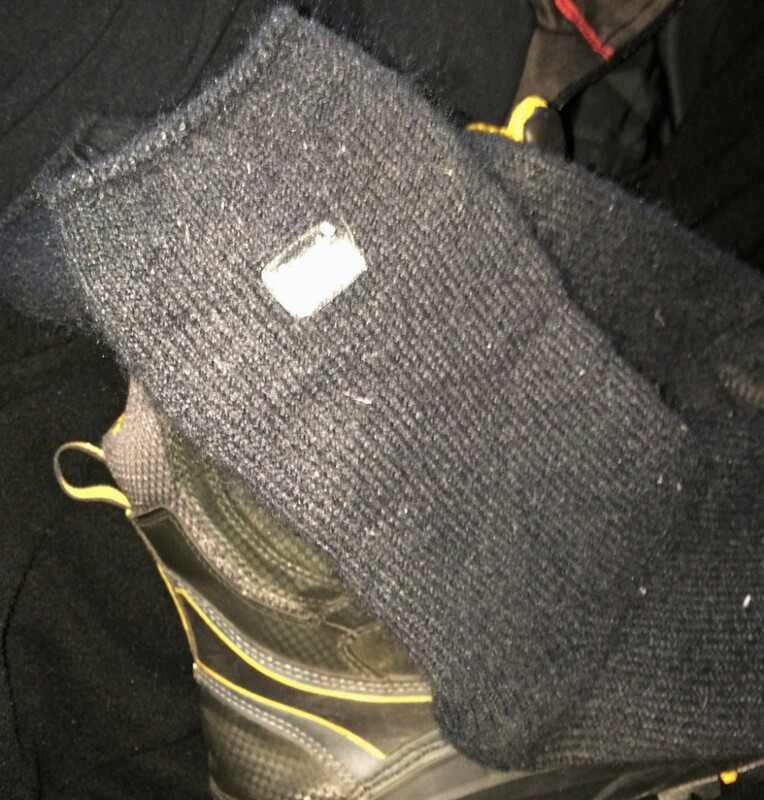 As long as we’re talking footwear, we will mention another personal favorite, Heat Holders thermal socks. This is our second season with these socks, which we recently paired with our FXR X-Cross BOA Boot. Combine the engineered warmth features of FXR’s boot with these socks and you have a winning day on the trail. Even after almost two full snowmobile seasons of usage and multiple washings, the Heat Holder thermal socks retain their warmth and a plush next-to-your skin softness that really does give you the warm fuzzies. And, an inside that is brushed to offer a soft feel that also traps warm air close to the skin. Whatever, all we know is that these socks are quite possibly the warmest thermal style, softest and most comfortable socks we’ve worn for snowmobiling in recent memory. After two seasons of wash and wear these socks have managed to retain their inner plush feel. Best of all, at US$15.99 per pair, they are relatively inexpensive when compared to wool blend hiking or other cold weather socks. For more information check out www.heatholders.com for sock specifics.